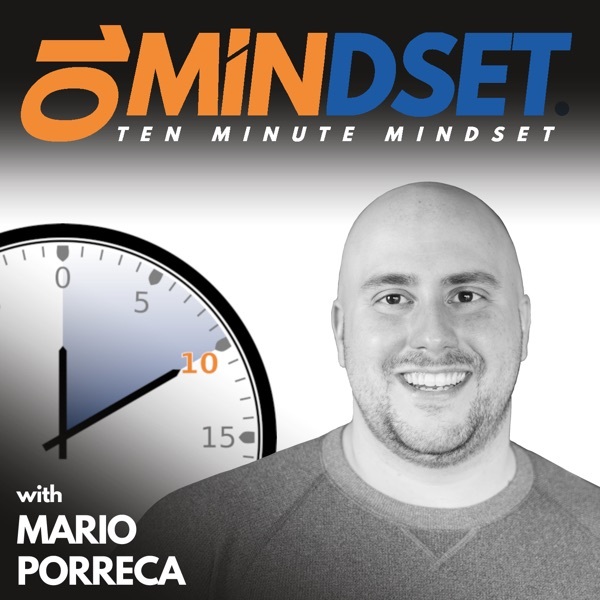 Jennifer Lee returned to 10 Minute Mindset to discuss more about Gallup Strengths coaching, to talk about her coaching sessions with Mario, and to explain how really understanding our strengths from our own unique perspective can impact our lives. Jennifer is a speaker, coach, and consultant specializing in Gallup Strengths coaching, Team Communications coaching, and Positivity Coaching. After spending several years working in the corporate world she decided to make a huge leap and relocate from Pittsburgh, Pennsylvania to Los Angeles, California to explore her interest in TV hosting. After spending a year pursuing this career Jennifer found that despite success she still felt empty inside and she knew she needed something more meaningful and fulfilling. Jennifer created her business as a platform to provide others motivation, inspiration, encouragement, and support on both a personal and professional level. Connect with Jennifer online at JenniferLeeInspiration.com and follow her on Facebook, Twitter, Instagram, and LinkedIn. Darren Miller utilizes a powerful collaboration of concepts acquired from completing some of the world’s toughest endurance challenges, coupled with over a decade of financial sales experience at Fortune 500 firms. His unique and fresh approach empowers his audience by leveraging their passions to drive their success. Darren’s approach to professional speaking centers around creating a stronger, more determined individual – not just a better salesman. His approach to life has earned him acclaim as a philanthropist and endurance athlete, but his humbled nature reminds the audience of a common man with an unrivaled spirit for challenging life! Darren speaks under his personal motto ‘Every Breath A Gift’, highlighting the ‘F.O.R.E.V.E.R. Essentials’ by incorporating lessons learned through endurance athletics and the corporate environment. He uses these essentials to motivate his audience to strive for their full potential by learning to push their physical and mental limits. Darren joined Mario on 10 Minute Mindset to talk about his business Every Breath A Gift, LLC, his F.O.R.E.V.E.R. Essentials, what led him to discovering his true passion of speaking, and some tips to help others find their true passion and purpose. Connect with Darren online at Darren-Miller.com and follow him on LinkedIn, Facebook, and Instagram. Jared Wiese (Wee-Zee) is a LinkedIn Trainer, LinkedIn Profile & Resume Writer, and LinkedIn Local Host, and Speaker. Jared got his start with an IT programming degree. Yet he was never the type to bang out code in a cubicle. He was always asking WHY. This started at a young age with a fascination with personal development from the likes of Dan Millman (Way of The Peaceful Warrior) and Stephen R. Covey (The 7 Habits). Eventually, this led to Jared becoming an IT Business Analyst where he had to find out what the business wanted, translate it and ensure it got implemented. This was a great background and segue for him helping others with their job search, by jumping in to understand them, their ideal job and help them implement it! Today, Jared helps job seekers attract recruiters, businesses find and turn leads into prospects, and trains individuals and groups on maximizing LinkedIn. He posts usually with hashtags of #ProfilesThatPop!™ for #PersonalDevelopment, #LinkedInTips and #Careers Jared joined Mario on 10 Minute Mindset to talk about his personal development journey, the 6 questions he designed to help him create his desired quality of life, his motivation behind the questions, and some tips for effectively implementing them into our lives. Connect with Jared online at ProfilesThatPOP.com and follow him on LinkedIn, Facebook, Twitter, and YouTube. W. Kevin Ward is back on 10 Minute Mindset to explain the difference between vision and mission when it comes to business and branding, how a strong vision leads to a powerful impactful mission, and he also shares a couple tips for creating clarity around a mission and vision. Kevin believes the key to organizational effectiveness is a “servant-style” leadership at all levels. The servant leader, he maintains, is committed to developing their group into a team where the individuals reach their personal best. By reaching their potential, the individuals have a greater chance of becoming the next generation of leaders. Drawing on his vast experience as a teacher, trainer and consulting in business and military settings, Kevin helps his clients identify their personal and professional needs. He also helps business clients identify the talent they have in order design and implement ways to best utilize those resources. Kevin has spoken to numerous groups on a variety of topics including leadership, education, workforce development, technology as a productivity tool, and recruiting the younger generation. He also delivers motivational speeches as well. Kevin brings the ability to engage the audience in a way that few can. He helps get your message to your people to help them own the message. Connect with Kevin online at WKWConsultingLLC.com and follow him on LinkedIn.